If you were on the look out for Red Bull last week, you probably didn’t have to go far to find one. This popular energy drink is known for its catchphrase of “Red Bull gives you wings” … at which point a character tosses his or her can aside as a pair of wings raises them to the stratosphere. Does this contribute to the litter problem? Or is it a matter of the target demographic group for energy drinks also happen to litter on a regular basis? Whichever the reason, it would be great if companies would consider the impact of their advertising beyond simply selling more products. 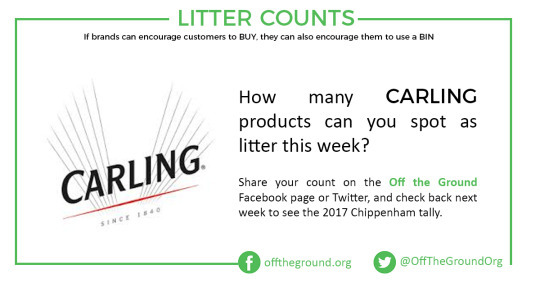 Next week, keep your eyes peeled for Carling. 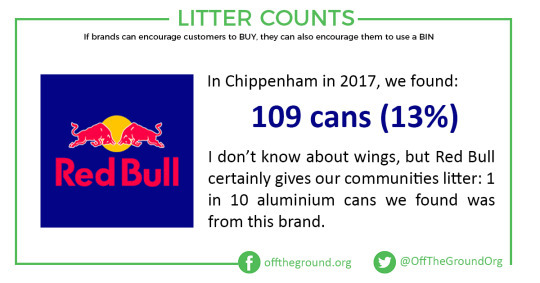 It has the dubious record of being the only brand we have found in large quantities on just one clean up: 51 were found during our November litter pick at Donkey Field.